Looking for a property in Ayodhya Bypass Road? Have a property in Ayodhya Bypass Road? Ayodhya Bypass Road area, Bhopal is rated 7 out of 10 based on 2 user reviews. Have a good knowledge of Ayodhya Bypass Road? Share it and become a Locality expert. 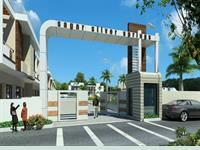 3 & 4 BHK Luxurious Residential Bungalows. Sagar Silver Springs is a fully integrated township project which offers 3 and 4 BHK luxury oriented residential bungalows. The project is located on Ayodhya Bypass Road in Bhopal. ID: P5779134 — Posted: Mar 20 by Akash G.